Our courses are expertly designed to give you the skills and experience that employers need. You’ll be assessed in ways that reflect the real world of business, gain hands-on experience and learn from industry experts. We’re based in the most vibrant region of the world’s most fascinating city, with great access to all of its cultural highlights. You'll have the chance to visit and learn from some of the world's leading arts and tourism businesses. Our students perform well in their degrees - 80% of Hospitality Management students achieved a 1st or 2:1 in 2016 - and go on to find work in a huge range of industries. The tourism, hospitality and events industries are thriving in the UK and around the world. The service sector is now the largest in the world's economy and our specialist courses are designed to fill the skills gap in this exciting, vibrant industry. We offer core BA degrees in all three areas: BA Events Management, BA Hospitality Management and BA Tourism Management, as well as a unique postgraduate course in Sports Management. The undergraduate courses are all accredited by the Institute of Hospitality, to ensure you receive high quality, relevant training and they incorporate a huge amount of hands-on, workplace experience. The degrees share a similar structure, providing you with a solid grounding in business, project management, marketing and the cultural industries, while ensuring you receive specialist training in your chosen field. You can choose to study one of three pathways: the core BA, an 'International' pathway which includes a year abroad, and an 'Entrepreneur' pathway which provides training in Enterprise and Innovation for students who want to start their own business. We work closely with a huge range of iconic businesses across London to provide the best student experience possible, while giving you the opportunity to network, gain experience and enjoy exciting fact-finding trips to cultural sites across the capital. Take a look at our courses to find out more and flick through our own guide to East London to see what fantastic culture and entertainment is right on our doorstep. Volunteering for Chigwell Tours at the World Travel Market was a great experience. It gave me the opportunity to better understand how outbound and inbound tourism works. I definitely recommend the experience to everyone for next year. Our libraries and learning services are at the very heart of the University. We have a superb range of resources and facilities to help you with your studies and we’re committed to offering you a first-class student experience. Our Stratford library, opened at a cost of £14 million, is a state-of-the-art building which provides an inspirational environment for study and research. Overlooking the Royal Docks, our modern Docklands library is another fantastic space for learning, offering a wide range of resources as well as group and silent study facilities. It’s also home to the UEL Skillzone, where you can get extra help with your academic writing. Both our libraries are open 24/7 during term time, giving you maximum flexibility about when you choose to study. As well as visiting our libraries in person, you can also take advantage of our growing collection of electronic resources, including e-books, e-journals and databases. To ensure our students get the best possible support, we’ve opened brand-new Student Support hubs at our Docklands and Stratford campuses - at a cost of £3.1 million. These contain centralised helpdesks as well as comfortable areas to relax and socialise. The helpdesks provide a ‘one-stop shop’ for every possible need, from course-related enquiries to personal issues such as health and money matters. They’re designed to be your first port of call if you have an enquiry or problem. As well as the core teaching facilities at UEL, you'll have the chance to visit culture and tourism hotspots across the capital; we have major conference and sporting venues such as the ExCel Centre and Stratford Olympic Park on our doorstep, and fantastic links with museums, hotels and restaurants throughout London. To find out more and experience our facilities first-hand, visit us at an Open Day or take a virtual tour. Management is an evolving field and UEL academics are leading projects that keep up to date with the latest trends and take their subjects in fresh directions. As a new student, you can be confident of learning from people with enthusiasm and expertise at the forefront of their profession and developing valuable industry knowledge and leadership and management skills. Reader in International Tourism Dr Raoul Bianchi has conducted a number of research projects in areas such as tourism development and sustainable tourism planning. He also has interests in tourism entrepreneurship and labour relations. Henrik Linden, Senior Lecturer and Programme Leader for Tourism Management, completed his PhD in Culture, Media and Creative Industries and is working on a book on Fan Cultures, Tourism and Consumerism. Our degrees are completely focused on your future career. They’re expertly designed to include the right balance of transferable skills, specialist knowledge and work-based experience that will make you highly qualified and extremely employable. Our students have the chance to network with the many businesses we are proud to work with, including hotels like the Hilton, catering groups like Elior, as well as prestigious clubs, sporting venues and arts organisations, and we embed industry knowledge, case studies, guest speakers and valuable field trips throughout our courses. The service sector is the largest sector in the world's economy and is short of good quality managers (WTTC, 2015). Managerial roles in tourism, hospitality and events are challenging and rewarding; managers need to make sure that their businesses are sustainable, profitable and provide a high quality experience for their customers and staff. To prepare you for these challenging and in-demand roles, we place emphasis on a vocational approach to teaching, allowing you to develop a wide range of employability skills through experience and training. We also have a superb employability team that works with students to find placements, projects, graduate schemes and full-time employment, combining careers advice with practical training in interview technique and CV writing. 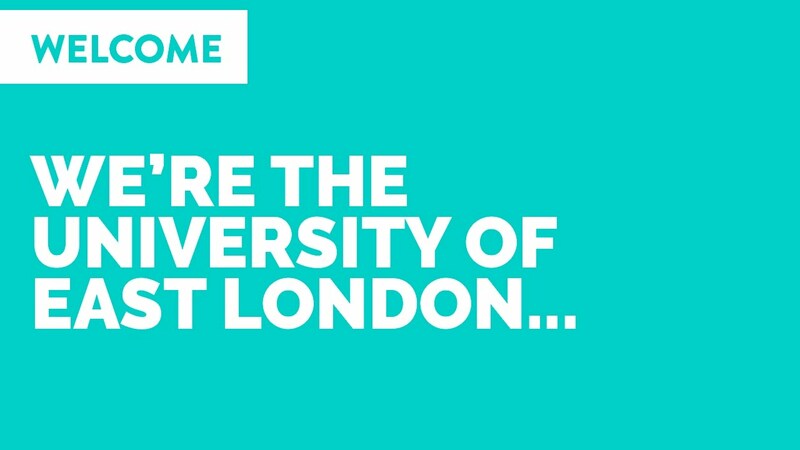 This fantastic support network, alongside our prime location in thriving East London – nestled between iconic Canary Wharf and booming Stratford – gives UEL students a real head-start in their chosen careers. Employability skills training such as interview techniques and CV writing. Gradscore, a groundbreaking electronic tool that allows you to complete a mock application and find out if you’d be shortlisted for interview. It has been created exclusively for UEL with help from leading employers and employability experts. UEL Skills Academy, where external professionals deliver sessions on the competencies most prized by graduate employers. Internships, placements and volunteering opportunities from our work placements team. Professional mentoring scheme, matching students with staff from major companies. Networking opportunities and annual careers fair. Support with setting up your own business. Our location in one of Europe’s largest regeneration areas and our extensive links to local employers will also give you access to fantastic internships and placements. From heavy industry to high-tech, health and social care to the arts, there are so many opportunities right on our doorstep.